The first thing I noticed when we arrived in Venice, was the extravagant colours. On the main promenade down by the beach, most of the buildings are screaming out for customers with vibrant colours. Venice is known for the many performers that feature on the boardwalk. I happened to come across a dance/breakdancing performance by a group which was spectacular. 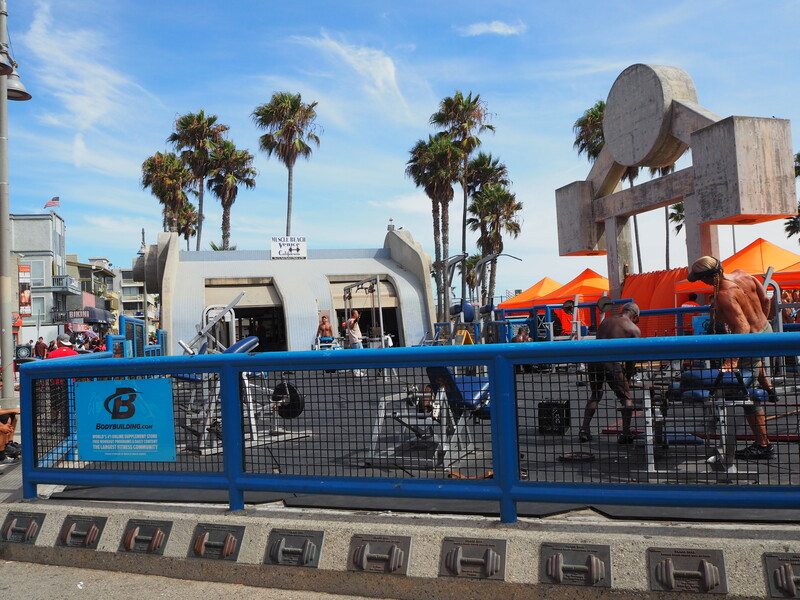 Venice Beach promenade is also known for it’s “Muscle Beach”. Located here is an enclosed area with weightlifting equipment, and a sand box with gymnastic, rope climbing, and acrobatic bars.